Being energy efficient not only saves the environment, but it also saves a whole wedge of cash from being taken out of your pocket. Many people seem to think that being energy efficient in their homes means completely changing their current way of life – often seen as a huge effort for something that “doesn’t have any effect on them”. Well, as somebody who lives an eco-friendly lifestyle, I can tell you that there is absolutely no additional effort required, and it isn’t “hard” to live with energy efficiency in mind. You may not realise just how simple it is to live this way, so below I have listed ten of the simplest household techniques you can introduce into your home, to not only save cash, but to help save the environment. There are many people out there that tend to take off an item of clothing after wearing it for 10 seconds, then throw it straight into the washing machine, by itself! If you are one of these people, I would stop doing that. Every time you put that washing machine on, you are using up a lot of water, not to mention all the electricity used for the machine and to heat the water! Long gone are the days of washing at 60 to get the stains out of your clothes. There is a great selection of bio-detergents that can be used on a wash at 30, doing exactly the same job as a detergent that can only be used at 60. By purchasing these detergents (same price if not cheaper than the others), you are essentially saving money on heating, as well as helping the environment. It’s a win/win situation. Hunters have some even more in-depth information in their home DIY and Eco efficiency guide regarding saving even more money in your Utility Room. Many newer homes are well insulated, meaning heat finds it harder to escape. However, with older builds, and sometimes even with newer builds, the insulation isn’t quite up to scratch. Heat tends to rise and escape through your loft or ceiling, so it is always worth investing in new loft or ceiling insulation. It may be slightly more costly than just simply wearing a jacket, but it will definitely save you money in the long term on heating bills. Much like with old insulation, single glazed windows tend to let heat escape and also let the cold air and draughts in. Most homes nowadays should have double glazed windows, however, if you happen to have single glazed, upgrading to double may help you to see a huge decrease in your heating and energy bills every month. Letting in natural light is a great way to save on the cost and the energy wastage using light bulbs incurs. Try tailoring your home to let in as much light as possible. Using curtains instead of blinds is always an easier way to let in more light, due to curtains allowing full light exposure, instead of open blinds, which still block a little bit of light when opened. Also, I realise that you will need to turn the lights on at some point, so it is worth mentioning that investing in energy saving light bulbs can make a great difference to the cost of your utility bills. The fridge and freezer is one appliance that uses a fair amount of energy, even though you may not think it. It is important to know that a full fridge/freezer wastes less energy than a half empty one. This is because the appliance doesn’t have to work as hard to freeze empty space, so try keep them as full as possible. We tend to run into the habit of letting the hot water tap constantly run whilst we are washing dishes. If you don’t happen to have a dishwasher, you will have most likely done this. The water you typically run whilst washing an average amount of plates will fill around 2 and a half washing up bowls. In order not to waste water, try filing a bowl and only using that water to wash your dishes. Everybody by now should know that you need to start switching off in able to save money. 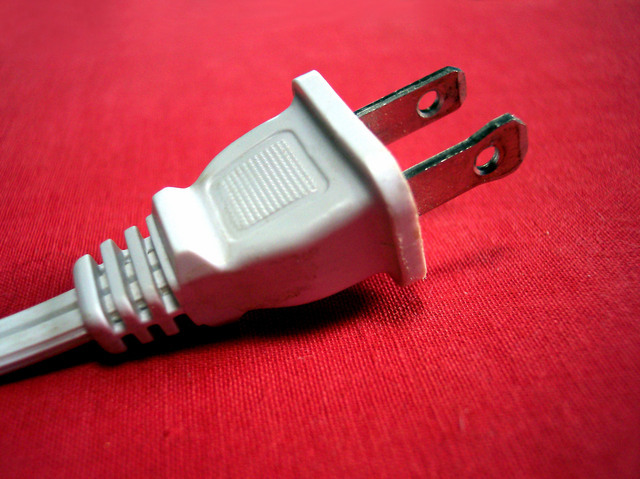 Too many of us are in the habit of just switching electrical appliances to standby when we aren’t using them. If you don’t need to use an appliance, then unplug it from the wall! Even when you leave a charger plugged into the wall, it still uses electricity. These are 8 extremely simple ways to save energy in your home, the loft insulation and double glazed windows may require some effort and money, but once they are done you don’t have to lift a finger. Try it yourself, make some of these changes to your home and compare your utility bill at the end of the month to your previous energy bill. You may see that you have saved a fair amount of money, as well as done your bit towards helping the environment.